Once the rivers closed, my fishing mainly went on a self-induced hiatus. Buying my first home became the priority and despite ours being a relatively straight-forward purchase (so we were assured by the estate agents! ), it took a couple of months to complete and another few weeks to get it how we wanted. 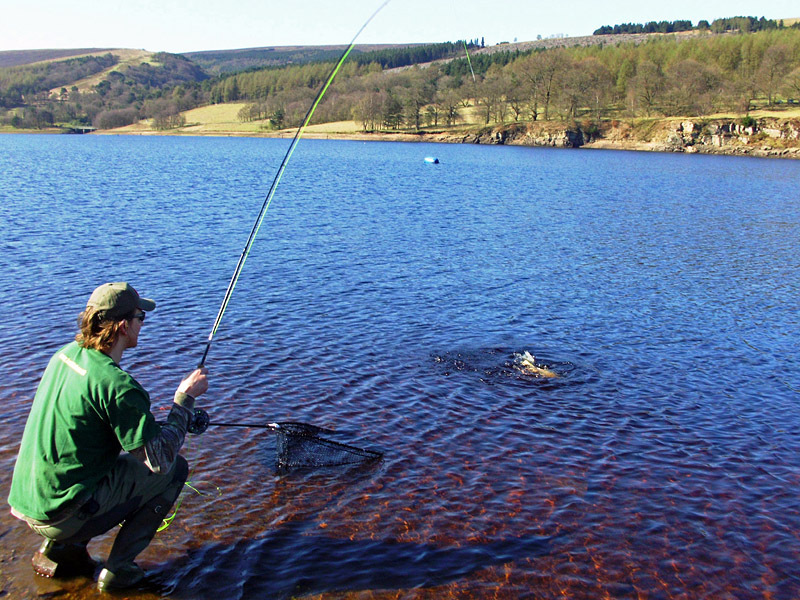 Just before the whole house purchase started, I headed to the beautiful Errwood Reservoir in the hills above Buxton, to do a spot of fly fishing. I met up with Ian, who was the club secretary and resident Errwood maestro, and he showed me, with my very rusty fly fishing skills, how it was done. I managed to break my rainbow trout PB twice in the day, despite the most sunny & hot April conditions I have ever seen in the UK. It was also the start of a new fishing friendship which I'm sure will see us fishing together many times in the future. A couple of "muck-about" sessions were all I had to keep me sane for the rest of spring & early summer. A couple of short, unremarkable trips to some local lakes caught me a few small fish but did little to satisfy my angling hunger. From the end of July, I started to get a few free evenings, so I could finally start my river campaign in earnest. I didn't have to endure many blanks throughout the summer and caught a fair number of barbel, most of which were high "8s" or nine pounders. 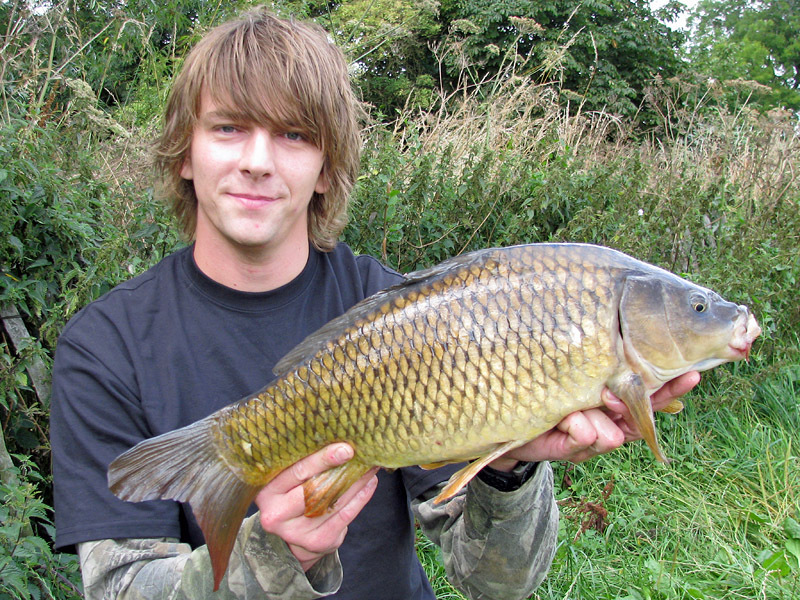 I had a couple of flirtations with surface fishing for carp, which caught me a lot of fish. Though none of them were monsters, I had some real fun fishing for them and I felt the electricity through my veins that only comes when casting to fish you can see (or by shoving your fingers in a socket!). I definitely want to get back into surface fishing in spring 2012, maybe I'll latch into some bigger carp too. 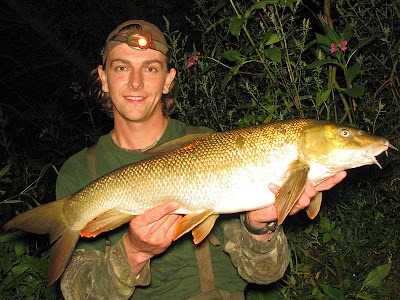 After returning from Spain, I continued to barbel fish on average one evening a week, up until late October. The fish kept coming and again I didn't have to endure many blanks. The average size was again between 8lb and just shy of 10lb, but my best evening brace came from the Derwent in mid-October, when I landed a fish of just shy of double figures and another of 11lb 2oz within an hour of each other. 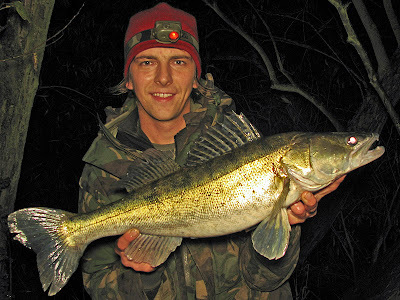 Shortly after this, I targeted zander on the Trent for a couple of sessions and had quite a result in catching a couple of good zander, but also 3 pike including a couple of doubles to 16lb 14oz and a surprise 2lb 5oz eel, detailed in an article on FishingMagic here. ﻿Also, during one of these sessions I managed to capture a strange shot on the self timer. 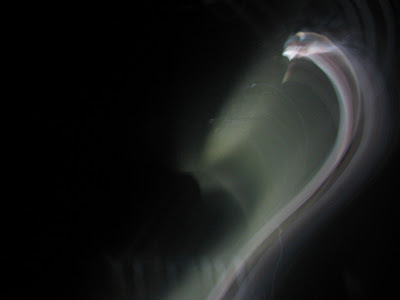 It's a trace of the light from my headlamp as I bent down in front of the camera, but it came out more like a ghostly-looking cobra ready to strike! Since that run of form in the unseasonably mild Autumn, I've really struggled. A pike session with my mate Titch had us on a venue with striking pike all over the place, but we could not tempt them on deadbaits. We drove a long way to change venue, which saved a blank, but only in the form of a small jack for me and a lost potential PB for Titch. My next two after-work sessions, in early December, didn't yield me a single bite. Firstly fishing for barbel, then a zander session. I'd been busy with domestic things for the remainder of December, but after Christmas I had the chance for a full day session. Strangely, I hadn't caught a single chub on any of my barbel sessions throughout the summer or autumn, which I don't think has ever happened before. This gave me a bit of a chub itch to scratch, to save me going through a whole calendar year without catching one (I'd caught my last chub on new years eve 2010), so I decided to set this session aside to target chub. When the day came around the conditions were perfect on paper; warm rain the previous week had brought the levels and colour up, but no rainfall in a few days meant the colour was slowly being lost as the rivers fined down. The weather was overcast with patchy clouds and when I arrived on the riverbank, the river looked in absolute peak winter condition. The problem was, I was far from in peak condition; completely knackered from Christmas excess and nursing a back injury sustained whilst fitting a cooker hood on Christmas Eve! Despite painkillers and strong coffee, I just couldn't get in the zone. I'd wanted to trot with the centrepin and a new Cralusso Surf float I'd bought but hadn't used. Unfortunately the wind was so strong I didn't even try to set the rod up; it wouldn't have been worth the hassle. My backup plan took the form of a pair of quivertip rods and a variety of baits, from maggots to cheese-paste, bread to mackerel chunks. The pain from my back made me really not want to walk too far with my tackle, on what I'd hoped would be a roving session, taking in plenty of swims on a really feature-rich stretch of river. I ended up fishing a couple of swims with overhanging trees, quite close to the car park. In three hours I had two half-hearted bites, one on mackerel chunk and one on cheese paste. I connected with neither bite and eventually I decided I'd fished out both features and there was no chance of any resident fish which I'd not spooked by recasting, so I trudged back to the van and headed to a different stretch where I knew there was a huge sunken tree within an easy walk of the car park, where I'd caught chub from in the past. I'd set up the first rod with a mackerel chunk attached on a lasso hair rig and cast it just below the rod tip while I baited the second rod. Almost instantly the tip wrenched round, but being distracted with the other rod, I missed the bite and reeled in an empty mackerel skin, a chub bite for sure. From then on I tried every bait and fished the swim to death well into dark, but I couldn't get another bite. Eventually, cold and in a fair bit of pain, I accepted the inevitable and packed up, so for the first time in well over a decade, I've gone a whole calendar year without catching a single chub; bizarre! 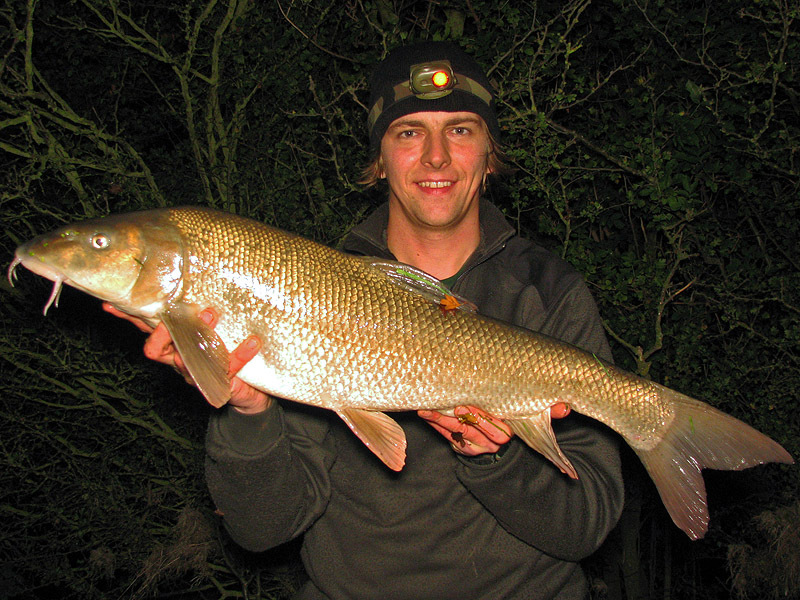 On Monday I had planned to go barbel fishing for the last couple of hours of daylight/first couple of hours of darkness, but again my back has put paid to that idea. I'm booked in at a sports phsyio tomorrow to hopefully get my back sorted out, which will allow me to go fishing again. I hadn't realised how debilitating a minor back injury could be, but it's bad enough to keep me from fishing, which very little has done before! Before the season ends, I'm hoping to get in as many sessions as possible, though at the moment I'm struggling for confidence so I've no idea what I'll be fishing for. One major thing I have to look forward to is a jaunt down onto the Royalty in February, with a day on the Parlour Pool followed by a general day ticket, which we'll most likely be roving. 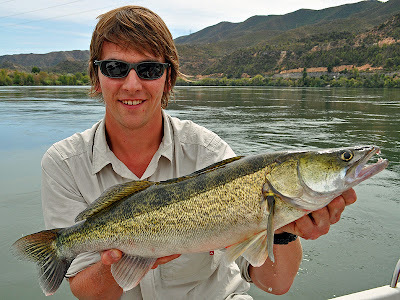 Considering the quality of fish available across a range of species on the fishery, I'm planning to go prepared to fish for anything and will let the river conditions dictate what I target, so we'll see how that goes! I wish everyone the best of luck for 2012, wherever you fish and whatever you fish for!